Aerotel Medical Systems has entered Finland's telecare market and will start offering its GeoSKeeper personal safety and location system through a new telecare service. The innovative mobile service enables the accurate location of seniors, children and lone workers, granting users and relatives safety and peace of mind. The new service is offered by EcoTec, a leading Finnish provider of personal safety and tracking services. The Finnish market is expected to witness a sharp rise in the demand for mobile and home-based telemedicine and homecare solutions as the country's population is rapidly ageing. According to recent data published by the Organization of Economic Cooperation and Development (OECD), Finland is projected to have 26% of its population over 65, by 2030. This figure is one of the highest in Europe and the world. By wearing the light-weight GeoSKeeper device on their wrist the users' accurate location can be sent to family and caregivers in real time. 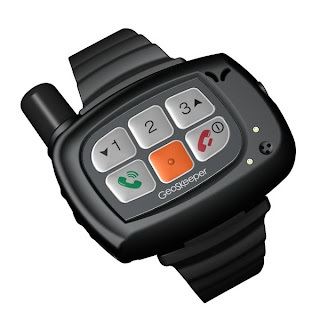 The personal telecare safety device is equipped with a built-in speakerphone and active GPS receiver. When the wearer wanders outside a specified zone the system sends an automatic alert via a short message (SMS) or email to a monitoring center and to a relative or caregiver.